Category: Data Systems. 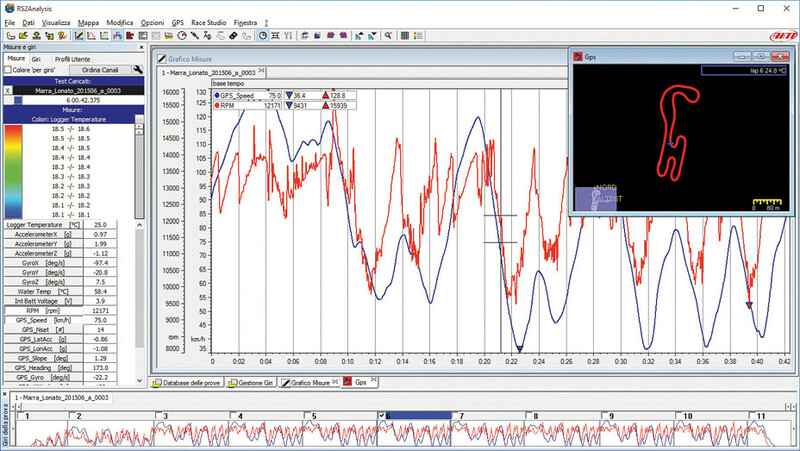 Tags: aim sportline, kart data analysis, mychron 5, mychron 5 tips. Before we get into the Mychron 5, I just want to talk about the #1 reason why you should invest in AIM products. The customer support in North America is unparalleled. Aim has support vans at most major races and with our customers any issues or problems with product they take the unit or components in and repair them. No matter how old your product that you purchase from BBR we will help you get it fixed and back on track. You can’t get that kind of service anywhere else. 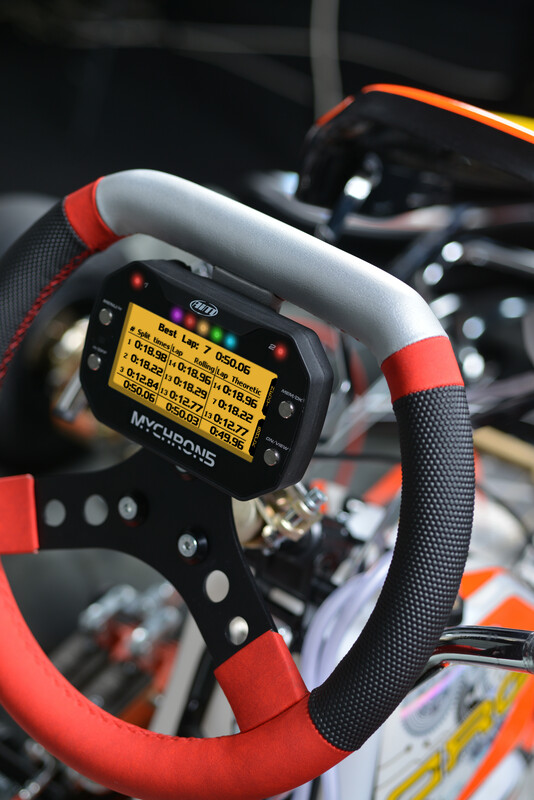 We have worked with Aim in 2016 to help develop the Mychron 5 and the Smarty Cam. 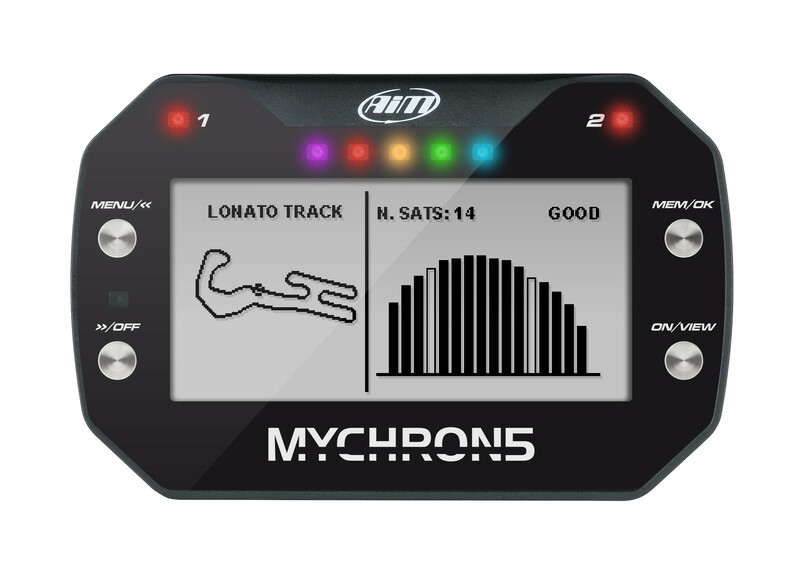 The MyChron5 has been designed to provide either basic info to newbies and the most sophisticated data to karting professionals. 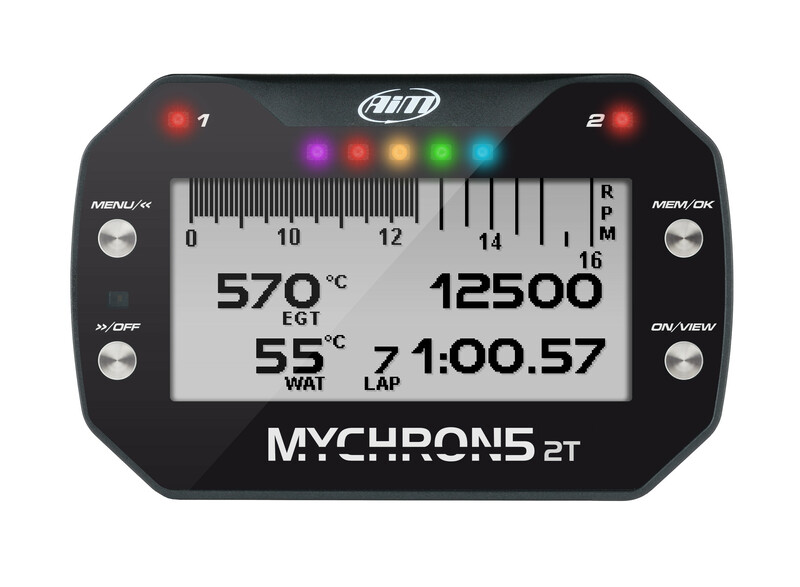 MyChron5 features five individually configurable RGB LEDs: you will choose color and value thresholds for their activation. 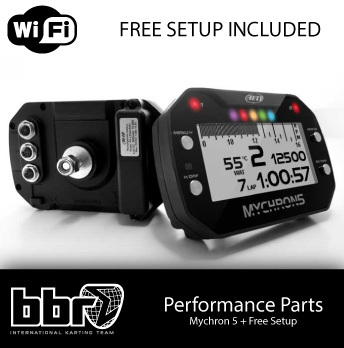 In addition, they can be configured to show your best lap/split time, monitor RPM level and even signal the right moment for gear shift. the gauges and the PC’s.